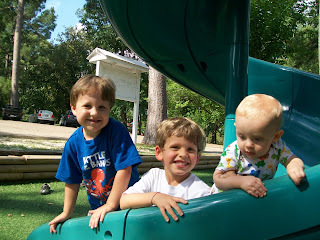 Seth, Dawson, and Brady at the park. 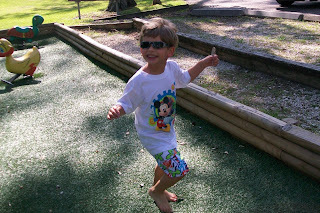 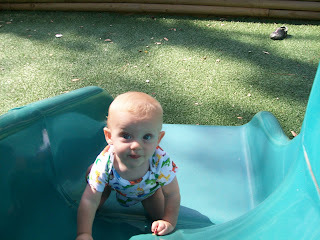 Brady standing on one of the slides. 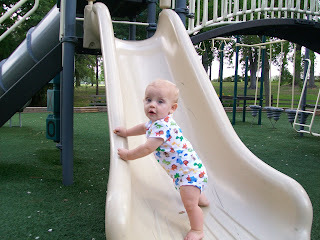 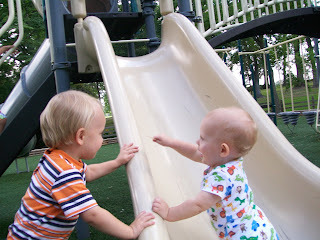 Brady trying to climb up the slide. 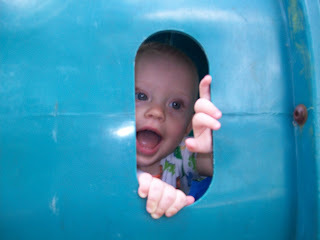 Peeking through a hole in the tunnel. 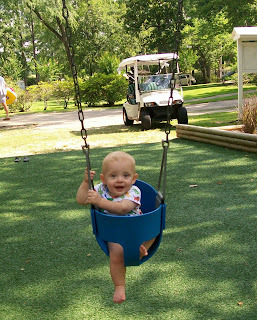 Brady enjoying some time in the swing.